Rudy Giovannini and Strato-Vani’s “Viva Strauss” album has been released as a live DVD. The Italian tenor and Belgian orchestra played together to over 8,000 people in Belgium last year, premiering the album of Strauss melodies with completely new lyrics. The resulting CD went on to stay in the Belgian classical charts for nearly six months and the Viva Strauss live DVD was shown as a TV special in Belgium on Christmas Day. 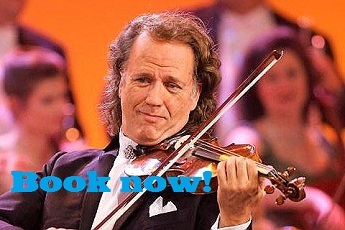 Since the show, Giovannini has been playing dozens of concerts across Germany, Austria and Belgium with the repertoire. He also featured it in his annual Köfelefest festival in Italy. Watch this extract of the Viva Strauss live DVD (which is in full HD). So what’s your favourite Strauss waltz?